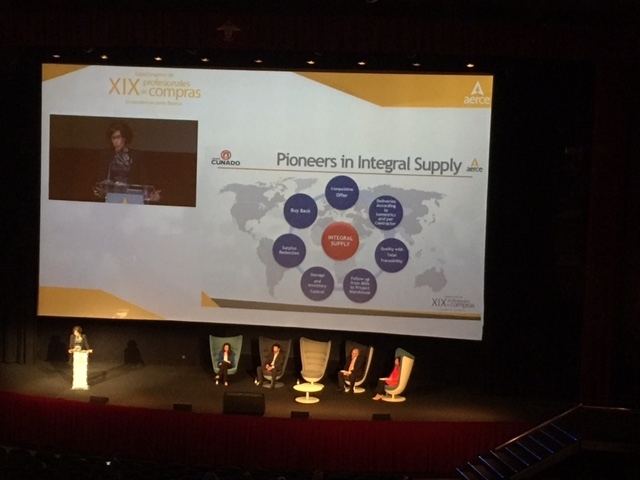 Last May 25th and 26th, the Project Director and the Procurement Manager of Grupo Cuñado participated in the Experts Lectures made at the XIX Conference of the Spanish Association of Purchasing, Contracting and Supply Professionals, which was held in Madrid, where managers of large companies and multinationals in the industrial, financial, oil & gas, telecommunications sectors,… gathered. The lectures, presented by high level professionals, dealt about future trends, business models and new ideas in the corporate procurement. Our Procurement Manager took part as a speaker at the Expert Panel of SRM – Supplier Relationship Management, presenting the Integral Supply System, developed and pioneered by Grupo Cuñado in the Oil & Gas area since 1980. She also explained how our strategic alliance with suppliers, based on reliable long-term relationships, allows us to offer to our customers a quality service that adds value to the project, in addition to obtaining significant cost and time savings in the project execution.